The events since the inauguration of Nigeria’s 8th National Assembly are not trending exactly like the making of the change the world had hoped for when Muhammadu Buhari was elected president. The opposition is already weakened and compromised. Party indiscipline, which had been a cancer of past regimes, is now full grown. The discredited corrupt oligarchy of Nigeria’s Legislature once more appears primed to dictate the content and character of the much anticipated change. And the very enemies of the change are having a blast. It is a common knowledge that any democracy with a weak opposition activity is prone to dictatorship. It is no wonder then that most political insiders in Nigeria—including two reliable barometers of military opinion in the persons of Olusegun Obasanjo and Ibrahim Babangida—have agreed that the country’s history with weak opposition fundamentally led to past leadership crises—from electoral irregularities, lack of checks and balances, mismanagement of resources, corruption, dictatorship, impunity, ineffective leaders to chances of military takeover of government. These true statements explain why well-meaning Nigerians as well as the international community roared in jubilation when a strong opposition party, the All Progressive Congress (APC), was born. The euphoria brimmed as the country witnessed in the 2015 election campaign the closest semblance of a true democratic culture. For the first time in our national life, instead of mass revolt or the military alternative, the opposition was finally able to replace an inept party in power. This historic victory saw us bubbling with renewed hope like never before. We had hoped to witness true change in the business of governance. We had hoped for a return of discipline in the society as well as consequences for bad behavior. Until June 9th! Like June 12th, 1993 before it, June 9th, 2015 was another fateful day in which fears eclipsed hope. It was the day that treacherous disease that has been tormenting Nigeria since 1999 reared back its ugly head. I mean the day the main opposition party, the Peoples Democratic Party (PDP), in an embarrassing dexterity, and to the chagrin of a deserving society, suddenly abandoned its new role and wangled to become a part of the ruling party by default. The implication is that the very hope of instilling essential components of democracy in the new administration, such as party discipline, dynamic competition, choice politics, and checks and balances has taken a dramatic nose dive. To add salt to the injury, the PDP has been indiscreetly obtuse with ceaseless media campaign to whip up public support. Their army of cohorts triggered the debate by comparing the events of June 9th to the First and Second Republics where leadership positions in the legislature were shared with opposition parties. But it is clear they are viewing the history from a rear view mirror. Unlike the chicanery of the 8th Senate, the past examples were products of mutual party agreements. The PDP has also been peddling the manner the Hon. Aminu Tambuwal became Speaker of the House of Representatives in 2011 as an ancient similarity to the June 9th. But what has consistently escaped their memory is that, not only did Tambuwal emerge in the full view of the entire body, the legislator was a bonafide member of the ruling party as at the time. Sum it this way: Unless in cases of coups, the world wide history is yet to prompt any democratic nation where a losing party fudged itself into the leadership of a new government without the consent of the ruling party. The most disingenuous yet is the archaic attempt by opposition elements to overheat the polity by injecting tribal sentiments into the debate, tossing the Igbo nation as an unfortunate bet. But the Igbos should not fall for the show of shame this time. It is an old movie. Even worse, the leadership of the Legislature under the new government is also a product of gross party indiscipline, leading to untold level of political treachery and unholy alliances. The challenges of party indiscipline are well chronicled in democratic history. For example, Senator Jibril Aminu, after analyzing the crises facing the country, lamented in 2011 that lack of party disciple within his political party, PDP, was the main problem with Nigeria. Not long after, April 27th, 2012 to be exact, a serving National Security Adviser, General Andrew Owoye Azazi, shocked the world by revealing that the Boko Haram menace is indeed as a result of lack of internal democracy within PDP—the then ruling party. This type of relationship is what the famous Italian political scientist, Giovanni Sartori, probably had in mind when he wrote in 1976 that that any value system that is exhibited by the political parties, particularly the ruling party, has direct consequences on the entire society. The salutary lesson here is that the political party is a picture-perfect genre of our everyday life. It also goes to say that the nature of discipline or even of democracy within the political parties is organic and usually permeates both the public and private sectors. It is not surprising then that the current leadership of the Legislature has already become a hybrid of the very corrupt cabal that Nigerian masses swept out on March 29th, 2015. The ruling party APC must therefore recognize that any hope of delivering the desired change without restoring discipline within the party ranks is only a pipe dream. The tragedies of the leadership of the Legislature are a dizzying tale. And to continue to enumerate them here does nothing but further ridicule the notion of common sense. The simplest takeaway is that the act of indiscipline must be confronted head on. Any nation where anything goes, goes no where. Concluding this piece without admonishing President Muhammadu Buhari is akin to performing a sanguine Igbo ritual without the presence of a vulture. Yes, it is gladdening to learn that the president has tacitly accepted responsibility for his perceived indifference to the leadership of the National Assembly, which some impostors had exploited in attempt to betray our change. But that is not enough. Moving forward, Buhari has to realize that the era of passing the buck ended on May 29th, 2015. Regardless of the location of the crisis, whether in the executive, legislative, judicial branch or any part of the country, for that matter—be it a APC, APGA or PDP state—the President and Commander-in-Chief of the Nigerian Armed Forces is expected to own the crisis and influence the desired change. The Executive branch in successful democracies, including that of the United States of America, also influences the leadership of the Legislature as well as that of the Judiciary. Yet, Buhari deserves some sympathy on two grounds. First, having said that he would not meddle with the affairs of the Legislature, he does not want to appear to be vacillating back and forth. At the same time, the president has to remember that not only is leadership a dynamic process, it is also contingent upon the prevailing environment. Effective leaders are pragmatic and, where and when necessary, can be influenced by what are objectively desirable in the particular environment and, in course, find ways to shift from their individual core beliefs. Even as it is vitally important for leaders to be unwavering in their convictions, any conviction should be able to advance the greater good, if it is to translate to effective leadership. Blind following of ideology is another name for dogmatism and can easily lead to destructive leadership. Second, the president is trying to walk a fine line between the nuances of control and the perceived freedoms of democracy, including separation of power among the three arms of government. The thinking is to avoid evoking a choking nostalgia of his military regime, unfairly defamed by the opposition during the presidential campaign. Yet, it is interesting to note that the same opposition has emerged as the loudest cheerleader of the president for removing himself from the leadership crisis rocking the Legislature. But the general from Daura is an old soldier. He does not need to be told that relying on enemy command is a recipe for disaster. The fact of the matter is that, contrary to what the opposition wants us to believe, Nigerians are under Buhari’s government and the president has to be fully involved. Effective leadership is the ability to successfully integrate and maximize available resources within the internal and external environment in line with organizational or societal values, standards, and goals and objectives. The process in this case entails being able to influence all segments of the polity towards greater good. Passing the buck has the tendency to stoke a series of excuses. A habit of excuses, as my father would say, is an existential catalyst for failure. 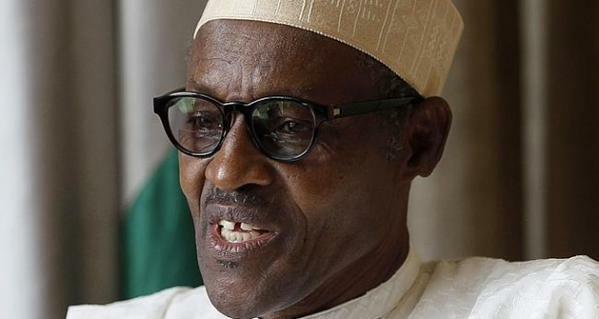 Finally, President Buhari has to be very careful not to squander his overflowing goodwill. He must not undercut the core attributes that endeared him back to the masses. The history beckons on him to lead by reinforcing the original credo of our change. The most compelling way forward is to confront the gross indiscipline that is not only tearing the ruling party apart but also undermining his agenda proper. NextObama to host Buhari on July 20.